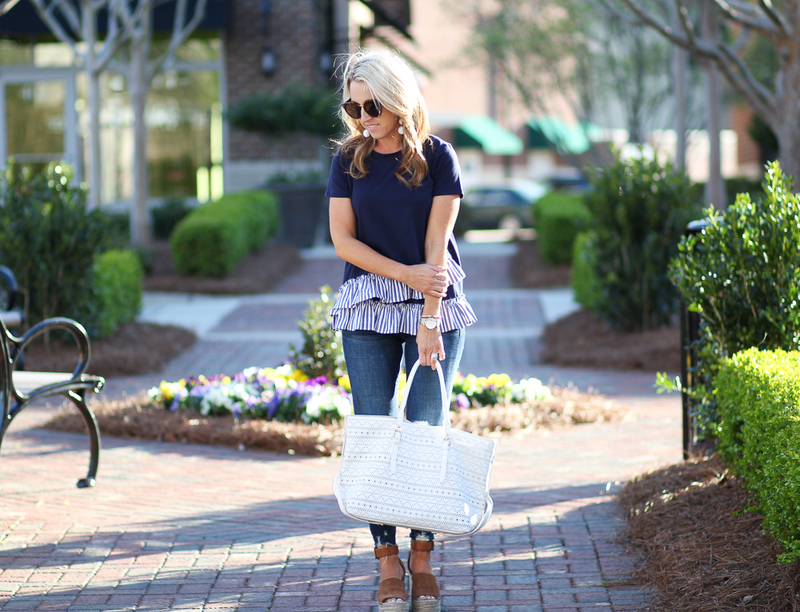 Ruffles are by far my favorite trend this Spring. 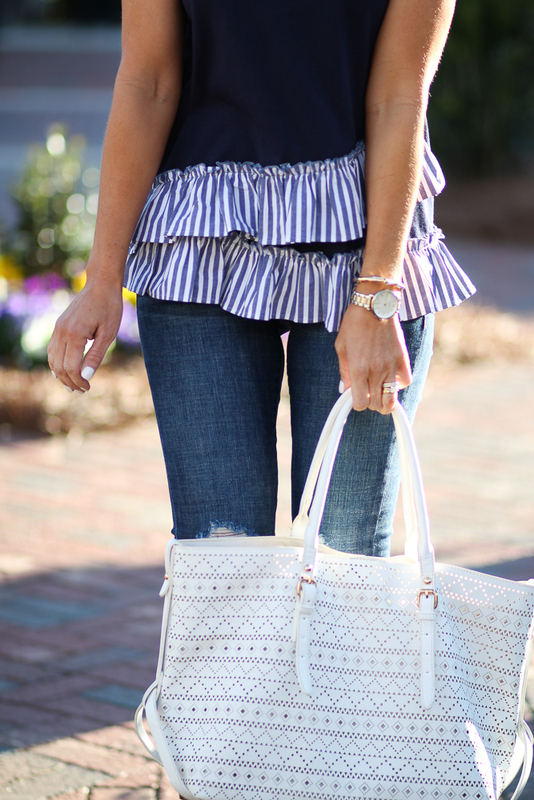 So girly and fun! 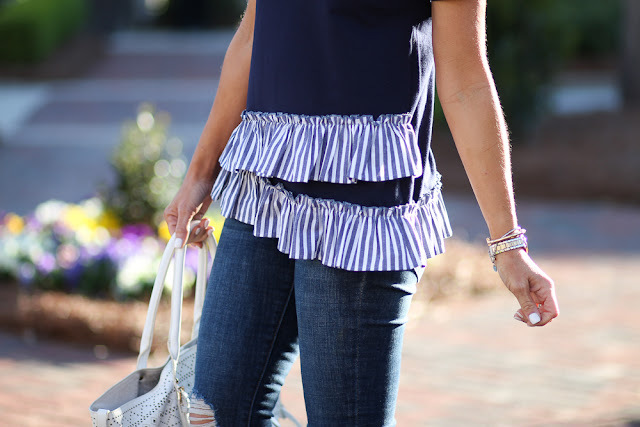 I'm sure hoping the ruffle trend never ends! 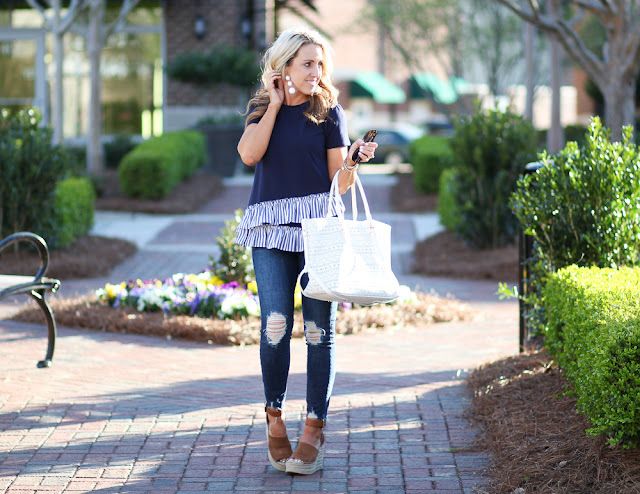 I think I could wear them everyday and never get tired of them :) If you are a regular follower, then you know how much we love feminine touches, like lace, peplum and ruffles! 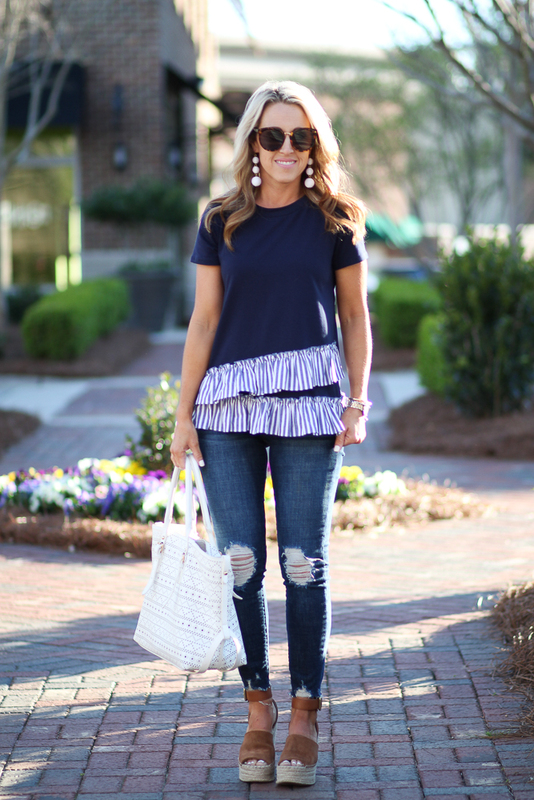 This tee is ruffle perfection with it's 2 rows of stripe ruffles!! It also comes in black, grey and white! 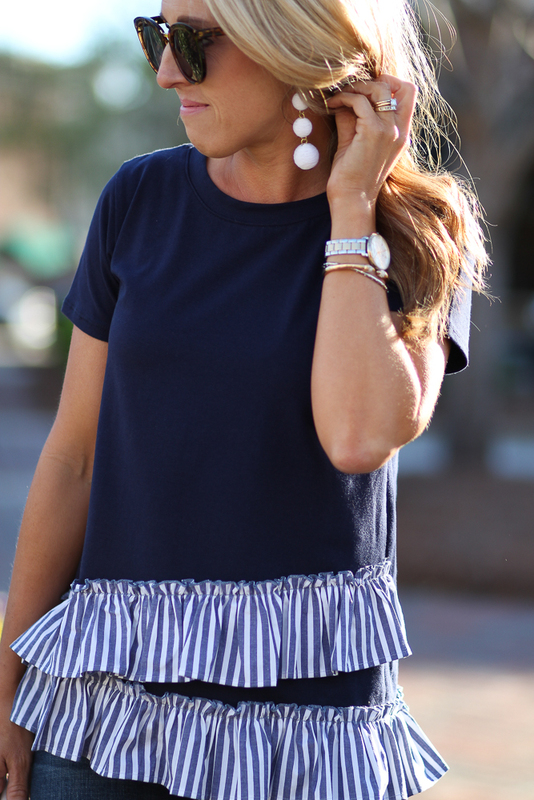 I'm thinking of also getting the white because a cute white tee is a great basic. 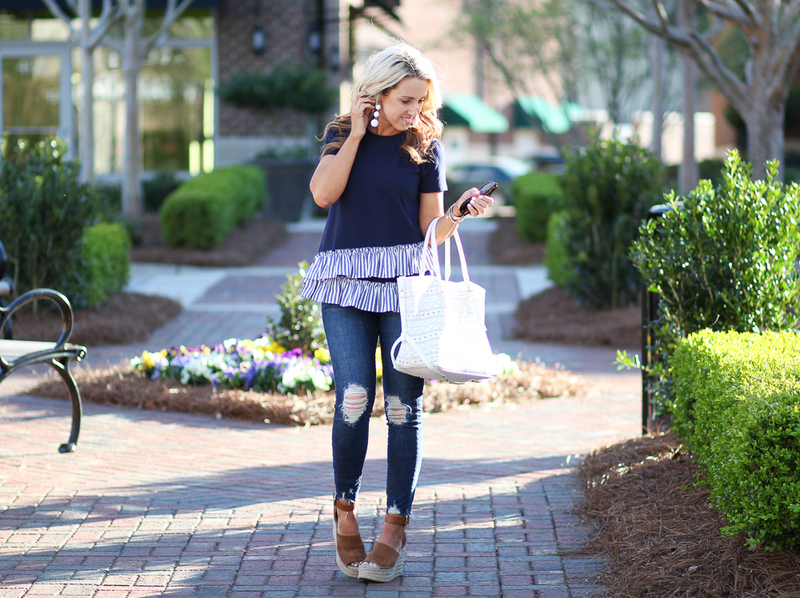 At under $50, you don't have to feel guilty buying more than one! On another note, did you notice the white earrings? I was a little hesitant to try these, but I'm so glad I did. I'm the lady who usually wears her diamond studs and is content. But these beauties really boost the overall look. They come in 7 other colors too! You really should try them. 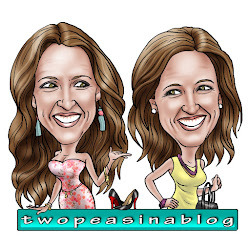 So my husband and son were out of town this past weekend for a soccer tournament, so it was just the girls home! When your husband is out of town are you the type that jumps in a gets a ton of projects done around the house or do you enjoy the quiet and time alone to catch up on shows or Hallmark movies? This weekend, I was for sure the latter!! It was so relaxing :). Of course we hit up the mall, but besides that, we didn't do much. Love the stripes on the ruffles! So cute!